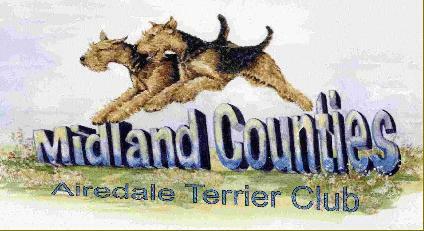 If you would like to join the Midland Counties Airedale Terrier Club, an application form is available to download here. Club membership costs just £5.00 per year for individual members, or £7.00 per year for joint membership. Subscriptions are renewable on 1st January each year. Alternatively please get in touch with one of our committee members listed below, who will be delighted to help you. The committee of MCATC would be pleased to receive judging CVs from any interested parties, either from applicants who have not previously been considered, or from applicants who wish to forward us updated details. The submission of a Judging CV will allow the Committee of MCATC to consider the person for the ballot but does not imply inclusion to any of the Club's Judging Lists whose stated criteria the applicant may satisfy. Please download and complete a judging questionnaire - either for Airedales or Non Specialist, and e mail this to us together with your Judging CV.